While it's no substitute to riding to exotic locations yourself, the next best thing is the vicarious thrill from viewing others' photographs of those places. 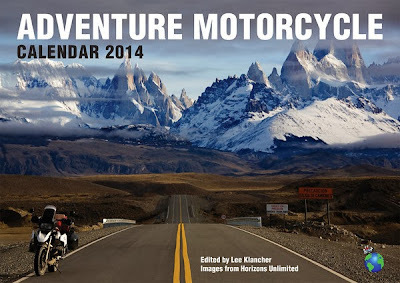 The out-sized (17" x 12") Adventure Motorcycle Calendar 2014 from Octane Press contains a year's worth of spectacular images, from mountain tops to desert floors, shot by adventure riders who are also readers of Horizons Unlimited, the renowned online hub for world-travelers. This high-quality calendar is a must-have for any adventurous rider, and would make a great Christmas gift for the other riders on your list. 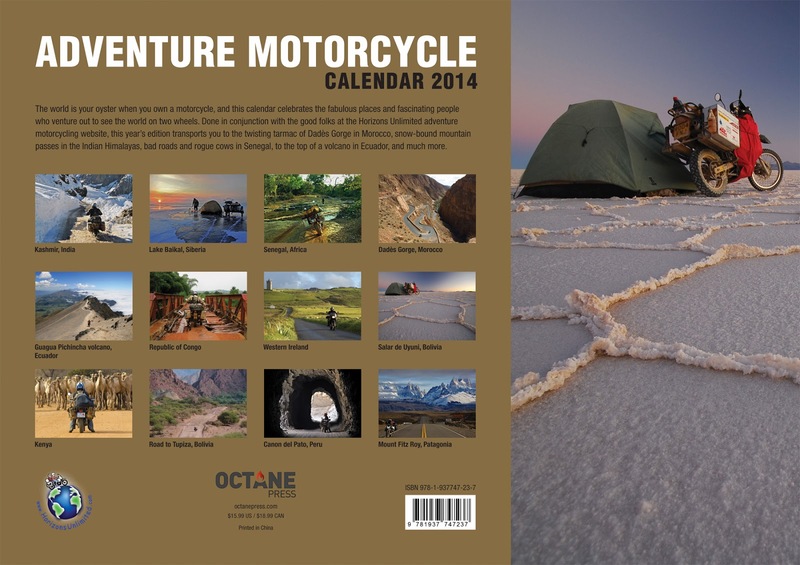 Click here for a sneak peek and to order.